Mason + Rich's managing director, Jeff Kipperman (far left), made the cover of the Concord Monitor. 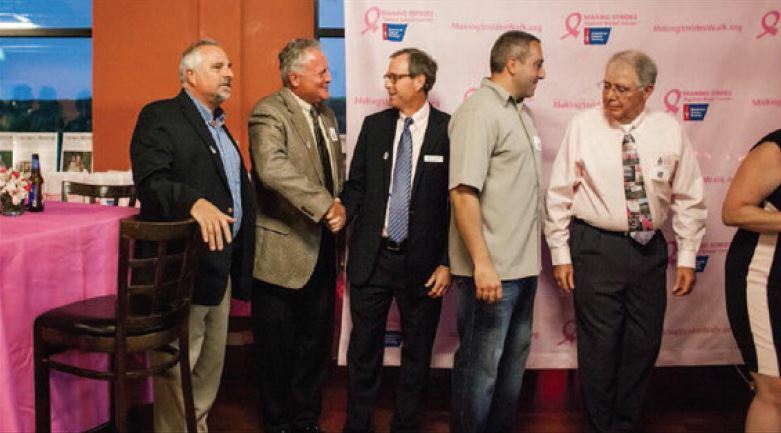 Jeff is supporting the American Cancer Society Making Strides Against Breast Cancer - Real Men Wear Pink campaign and was recognized Wednesday for pledging to raise at least $2,500. Look to see Jeff wearing pink throughout the month of October! As seen in the September 22, 2016 edition of the Concord Monitor.